At the entrance to War Memorial Drive is a plaque, with the date 1919. This was the year that the first section of War Memorial Drive was opened (that is, the section between Frome Rd & Sir Edwin Smith Avenue). It was built by returned soldiers with the costs being borne partly by the City Council, partly by a donation from Lord Mayor Charles Glover and partly with funds from the Federal Government (to employ returned soldiers). It was deemed a success and so the second stage of War Memorial Drive, from King William Rd to Montefiore Rd was commenced the very next year, 1920. You can see in front of you Angas Gardens. 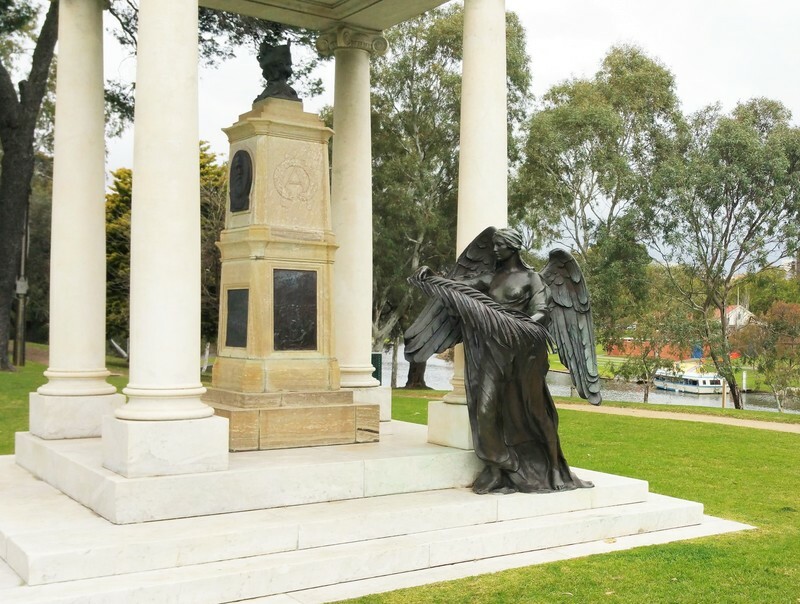 The centrepiece is the Angas Memorial, a State Heritage Place - built in memory of pioneers and pastoralists George Fife Angas and his son John Harris Angas. The Angases have a substantial legacy around Adelaide and SA. Apart from these Angas Gardens, we have an Angas Street in the city, and the town of Angaston in the Barossa. They made an enormous contribution to the success of South Australia in the 1800s. The Angas memorial is by sculptor William Robert Colton who designed both the canopy and the bronzes. 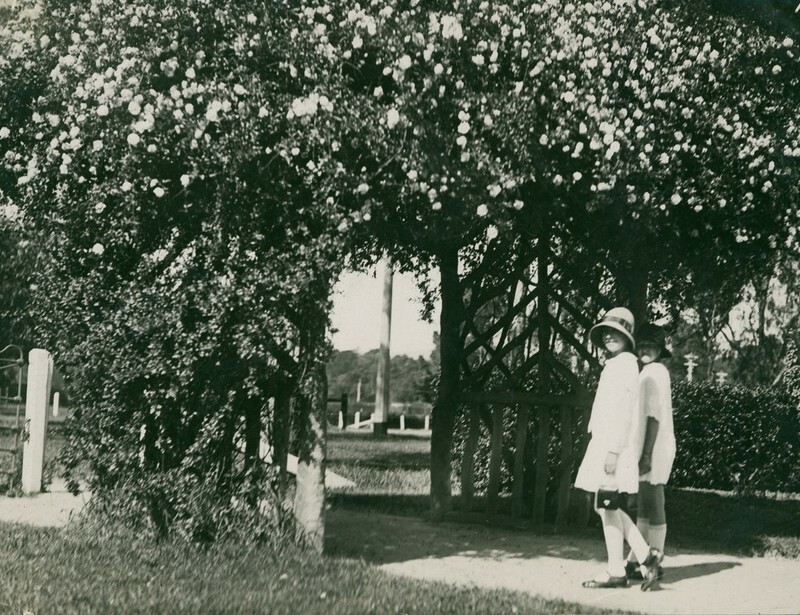 Erected originally in 1915 on North Terrace, it was relocated to Angas Gardens in 1930. The Angas Gardens are also complemented by the more recent statue of “Simpson and his Donkey” by Robert Hannaford in 2012 commemorating John Simpson Kirkpatrick, an unlikely figure who became a national hero. Having deserted from the merchant navy in 1910, he tramped around Australia and worked in a variety of jobs. He enlisted in the Australian Infantry, expecting this would give him the chance to get back to England. Instead, Private Simpson found himself at ANZAC Cove on 25 April 1915, and was killed less than four weeks later. Famously, he used a small donkey to carry men down from the front line, often exposing himself to fire. The bravery of this "man with the donkey" soon became the most prominent symbol of Australian courage and tenacity on Gallipoli. This story is acknowledged in the interpretive sign on the statue. From this point we head to King William Road to cross over the River on the Adelaide bridge. Adelaide Park Lands Preservation Association, “Angas Gardens,” Adelaide City Explorer, accessed April 26, 2019, https://adelaidecityexplorer.com.au/items/show/260.